I opened a new category on this blog where you will be able to find different Reviews. I will be reviewing books, frameworks, tools and other resources inside this category. 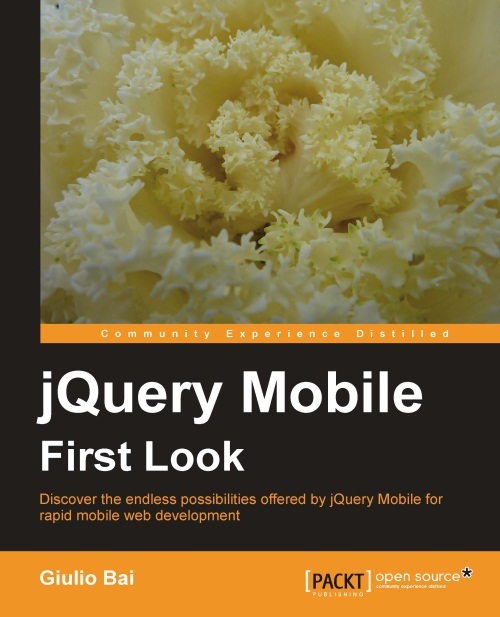 First in a series of book reviews is excellent book from Packt Publishing called jQuery Mobile First Look written by Giulio Bai. I read the e-book version of the publication. This book is targeted at jQuery users who want to enter the exciting world of mobile web development, as it is said in the preface. This is entirely true. To follow the book, all you need is a basic knowledge of jQuery Framework and a web browser. At the very beginning of the book, there is a nice introductory chapter about jQuery Mobile and comparison with similar frameworks. It shows the reader how to download and use jQuery Mobile. Of course, all source code for the book is available for the download from the publisher’s site, which is very nice, as you don’t have to rewrite all the code found in the book. There is a small problem with first few chapters as they are written for jQuery Mobile Alpha 2 which was the latest release at the publishing date (June 2011). jQuery Mobile is at Beta 2 phase now and some things have changed. Nevertheless, reader can easily download Alpha 2 release from the CDN or make few simple tweaks to the code. This really is not a problem. Writing a book on a pre-release version of software is always hard. What I really liked in this book is how it explains the use of common tools which help developer to see what is happening behind the scenes. There is a nice explanation of using FireBug to debug your code. Book also mentions FireQuery, A FireBug extension for jQuery. jQuery Mobile First Look is handling all the basic elements of jQuery Mobile like Pages, Buttons, Lists, Forms, Toolbars. It also explains how to change a look and feel of this elements as well as how to use different themes. This book offers the very basics of a powerful jQuery Mobile framework. But, it is intended to jQuery developers to get to know the relevant first things. More advanced topics are just briefly explained. I hope that this book will be updated in the second edition in the first 2 chapters so it reflects the changes in jQuery Mobile core. If you are new to jQuery Mobile, this book is a must have. After reading it, you will be able to start making mobile web applications.